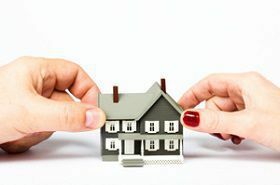 One of the factors that determine whether assets are or are not included in the marital estate relates to whether the property was acquired before the wedding or after. The question of pre-marital versus marital assets, however, is not always a foregone conclusion. Although it is usually expected that property gained before the marriage took place will be deemed pre-marital, your lawyer must take into account disposition and the source of the property as well as the timing. A savings account purchased by a single person is normally considered to be pre-marital property and would probably not be expected to form part of the marital estate. However, should the person marry and combine those funds with the spouse’s toward the joint purchase of a home, the money in the account can no longer be considered as pre-marital. From an economic standpoint, separation of those funds from the equity of the home has become impossible. Thus, the money must be included in the marital estate and divided accordingly. "Timing" is defined as the point at which the asset was acquired, as in before or after the wedding. Whether the asset was brought in by the husband or the wife determines its source. Lastly, the use of the money as part of the joint purchase of a home denotes its disposition. While timing and source would indicate that the savings account may be excluded from the estate, the disposition of the money did not. Suppose one of the spouses, subsequent to their wedding, sets up an IRA (individual retirement account) in his/her own name. The other spouse has nothing invested in it, and is not named or connected with it in any way. If the couple should divorce, the timing of the establishment of that account is the deciding factor. Because it was opened while the couple remained married to each other, the account is a marital asset earned by the economic unit formed by the marriage. It is subject to division, and whether it is in the wife’s name or the husband’s is not a factor. Anything that is acquired or earned during a marriage will be deemed to be marital property whether or not both spouses are named as owners, and is therefore subject to division. Even if the spouses have separated their assets, they are still considered to be part of the marital estate if they are gained by the spouses while the marriage lasts. If you are facing a divorce and are uncertain as to the disposition of your property, you will need the assistance of an experienced Virginia family lawyer. Call Smith Strong at 804-325-1245 (Richmond) or 757-941-4298 (Williamsburg) today.